The University of Southampton has been awarded a multi-million pound programme to lead the development of innovative nanotechnology that could open the door to a new generation of electronics. 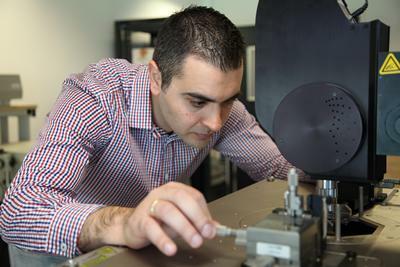 Professor Themis Prodromakis from the University of Southampton is the principal investigator of the predominantly Engineering and Physical Sciences Research Council (EPSRC) funded programme, which, along with industrial contributions, exceeds £11million. Working with Imperial College London and the University of Manchester, as well as industrial partners, the project will centre on memristors and their ability to enable electronics systems to be configured with increased capability, as opposed to transistors. Prof Themis Prodromakis said: “We are thankful to EPSRC for granting us this opportunity to enhance modern electronics technologies through functional oxides. I am delighted to lead this very exciting project. “Memristor technologies bring great prospects for next-generation chips, which need to be highly reconfigurable yet affordable, scalable and energy-efficient, not to mention secure. The size of transistors has reduced to meet the increasing demands of technology, but are now reaching their physical limit, with – for example – the processing chips that power smartphones containing an average of five billion transistors. 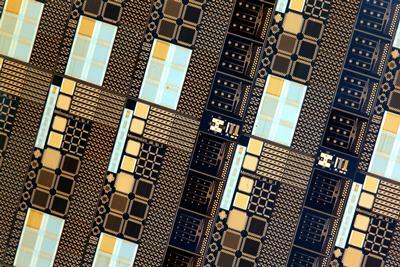 The University of Southampton has previously demonstrated a new memristor technology that can store up to 128 discernible memory states per switch, almost four times more than previously reported. Professor Themis Prodromakis added: “For decades we have followed the pattern that computers should have separate processor and memory units, but these are now struggling to cope with the masses of data in the public domain. Soon the span of functionality in future Internet of Things (IoT) systems will be much wider than what we know from today's smartphones, tablets or smart watches. “This unique programme of activities will allow us to develop reconfigurable electronic systems that are at the forefront of innovation through being embedded almost everywhere in our physical world; within vehicles and infrastructure or even within the human body.